Mega Sale! 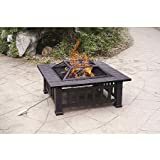 Up to 26% off on Outdoor Fireplaces at Option Ridge. Top brands include Peterson Gas Logs, sunjoy, Generic, DeckMate, RH PETERSON GAS LOGS, Carolina Stair, AXXONN, Seasonal Trends, & Fireplaces. Hurry! Limited time offers. Offers valid only while supplies last. "R.H. Peterson RRSOG4-2-18 - 18"" Rugged Split Oak Vented Gas Logs with Burner for Natural Gas Fireplaces." "R.H. Peterson CHRRSOG4-2-18 - 18"" Charred Rugged Split Oak Vented Gas Logs with Burner for Natural Gas Fireplaces." "R.H. Peterson POG45-18 - 18"" Post Oak Vented Gas Logs with Burner for Natural Gas Fireplaces." "R.H. Peterson RRSOG4-2-30 - 30"" Rugged Split Oak Vented Gas Logs with Burner for Natural Gas Fireplaces." "R.H. Peterson POG45-30 - 30"" Post Oak Vented Gas Logs with Burner for Natural Gas Fireplaces." 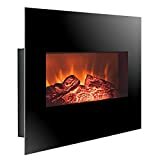 "R.H. Peterson CHFRG10-30-12 - 30"" Ventless Charred Frontier Oak Vent Free Gas Logs with Burner for Natural Gas Fireplace"
"R.H. Peterson RDPG4-2-18 - 18"" Golden Oak Designer Plus Vented Gas Logs with Burner for Natural Gas Fireplaces." "R.H. Peterson RG4-30 - 30"" Golden Oak Vented Gas Logs with Burner for Natural Gas Fireplaces." CSF120 Poplar Fireplace Column 5 1/2" X 52"
"R.H. Peterson CHDG4-2-24 - 24"" Charred Oak Vented Gas Logs with Burner for Natural Gas Fireplaces." 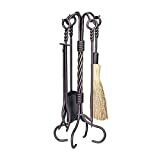 "R.H. Peterson CHAOG4-2-24 - 24"" Charred American Oak Vented Gas Logs with Burner for Natural Gas Fireplaces." "R.H. Peterson POG4-30 - 30"" Post Oak Vented Gas Logs with Burner for Natural Gas Fireplaces."